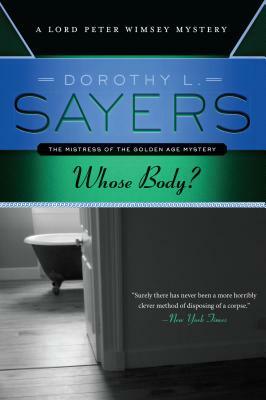 From Dorothy L. Sayers, “one of the greatest mystery story writers of the [twentieth] century” (Los Angeles Times), the first mystery featuring Lord Peter Wimsey. A corpse has been found in the bath of an architect's flat, wearing nothing but a pair of pince-nez. A financier has seemingly vanished into thin air from his bedroom. The ever-curious Lord Peter Wimsey is intrigued by these odd events. Ignoring the clumsy efforts of the official investigator looking into the death, the aristocratic amateur sleuth, accompanied by his valet, Bunter, a skilled photographer, begins his own inquiry. The gentleman detective soon becomes convinced that the two cases are somehow linked. Now, he must uncover the connection—and the investigation quickly begins to bleed into his own life, stirring up dark memories of World War I that will have unexpected consequences for Wimsey and the faithful Bunter.